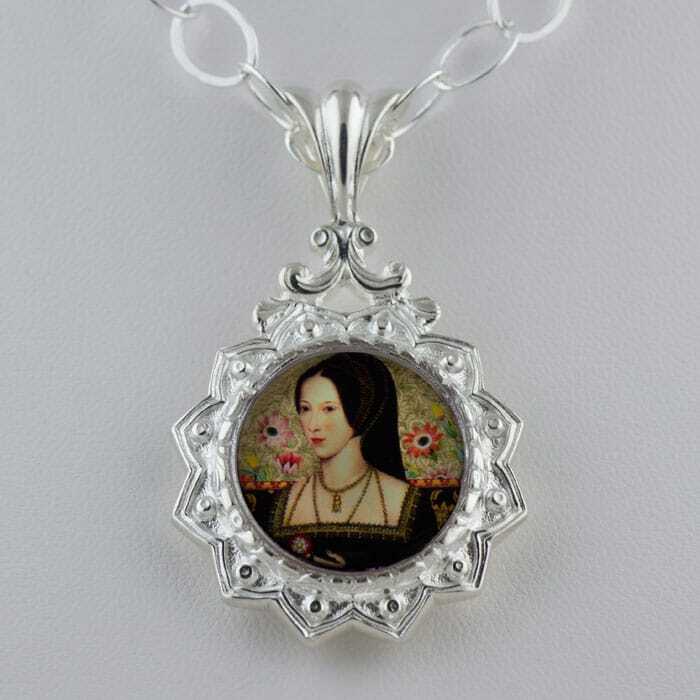 This beautiful, unique and collectible pendant features an image from the Anne Boleyn collection of Tiffini Elektra. It features an exclusive handcast and crafted solid sterling silver (or antiqued bronze) pendant with a stunning antique mourning pendant backing. Please choose your pendant finish and chain length.